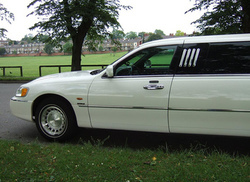 Hartford Limo Service brought to you by Gateway Limousine has been serving the Connecticut area for many years. We are an award winning limousine and party bus company and we take our clients needs very seriously. We understand that you are looking for everything to go over perfectly for your event. This is what we promise and aim for so the next time you need transportation you will remember our name. Give us a call today and you will find out why Connecticut residents choose us time and time again. Proudly Serving Hartford, Avon, Farmington, West Hartford, Newington, Wethersfield, Rocky Hill, Cromwell, Belin, Simsbury, Middletown, Southington, Bristol, Plainville, Burlington, Meriden, Middlefield and most of the state of Connecticut.